There are many fantastic reasons for investing in composite doors in Solihull, whether you’re buying for a home or business premises. When you opt for a composite door, you can achieve the look of classic wood whilst benefitting from some of the strongest and most durable materials on the market. More and more Solihull home and business owners are heading straight to Pinnacle Windows when they require composite doors of the highest quality. Solihull is one of the most well-known towns in the Midlands and is home to a range of prestigious attractions, including the Stratford-upon-Avon canal, Packwood House, Baddesley Clinton and Brueton Park Lake. 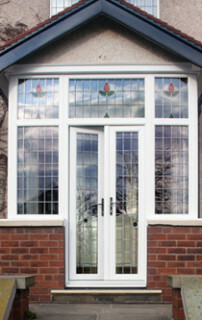 At Pinnacle Windows, we have supplied outstanding composite doors to people across Solihull. People replace their doors for all kinds of reasons. Perhaps your door has experienced a great deal of wear and tear over the years, or maybe you simply wish to refresh the look of your home? A new door can also make your home more attractive to potential tenants or buyers and enhance the security of your property. There are many different designs and styles to choose from when you source composite doors through Pinnacle Windows, and we will listen closely to what you have to say in order to help you find the ideal solution for your specific needs. 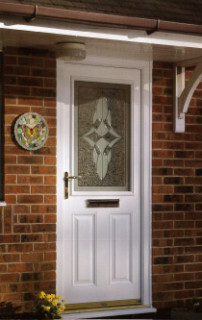 Composite doors take their name from the fact that they are manufactured from a range of robust materials. They are tough on both the inside and outside and require very little maintenance. Their GRP or glass reinforced plastic skins won’t fade, crack or warp, and you don’t need to repaint them. In fact, all you have to do is wipe them with a soapy cloth when required. Composite doors are noted for their thermal efficiency and can play a pivotal role in keeping the cold out of your home, enabling you to avoid costly energy bills. Another great thing about composite doors is that they are ideal for those that live in noisy areas. If you live on a main road, your door can vastly reduce unwanted noise, enjoying you to relax and make the most of your free time. Composite doors come complete with a host of security features, and these can include anti-drill, snap and pick cylinders, potentially reducing your insurance bills whilst helping you keep intruders out of your home. The benefits of composite doors don’t end there. 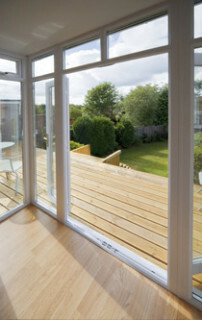 Weathertight seals can eliminate draughts and provide you with all the comfort you expect from a door, all year round. You can also personalise your composite doors with all sorts of accessories, such as knockers, handles and more. At Pinnacle, we are waiting to hear from you right now if you are interested in investing composite doors in Solihull for your home. Get in touch with us today by calling us on 01527 522019. You can also use the form on our website.